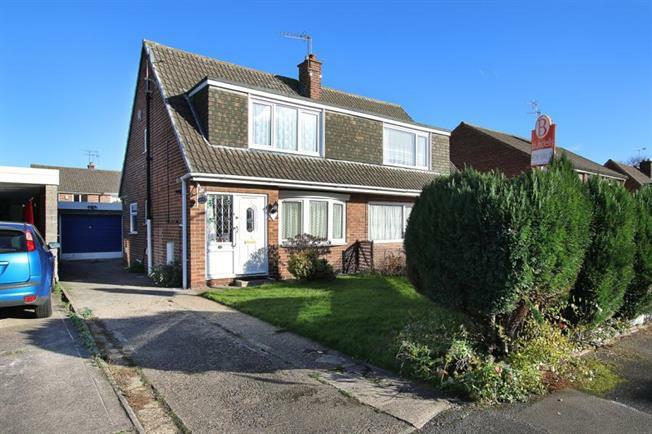 Offered for sale with no vendor chain involved is this semi detached home. Located in a cul de sac position in this popular location. This three bedroom property is spacious and would require general upgrading. Giving access to local amenities and public transport links. In brief the property comprises of entrance hall with stairs to first floor landing, downstairs shower room having a modern white three piece suite. Lounge/dining area with feature fire place. Kitchen having a range of fitted wall and base units in dark oak effect. First floor landing there are three bedrooms. Outside there is a lawn to the front with borders, drive to the side of the property which leads to the larger than average garage / workshop. Rear garden mainly laid to lawn with borders.